"Rose’s consistency has been remarkable during the past 15 months, which has yielded five victories, five other podium finishes, and 24 top-10s from his last 31 starts." Fourteen members of golf's top 20 have accepted invitations to compete at this week's lucrative Hero World Challenge in The Bahamas. Even the player who finishes 18th and last, is guaranteed a six-figure cheque as long as they complete 72 holes. For the fourth year in a row, the tournament takes place at the Ernie Els-designed Albany course, close to the south-east coastline of New Providence Island. The course has plenty of water and sand, although the players won't feel unduly stressed out by the hazards in what is largely a money-spinning end-of-season exhibition tournament. Tiger Woods is the host of an event organised for the benefit of his own golfing foundation which was set up in 1996 to support community-based programs to improve the health, education and welfare of children in the United States. 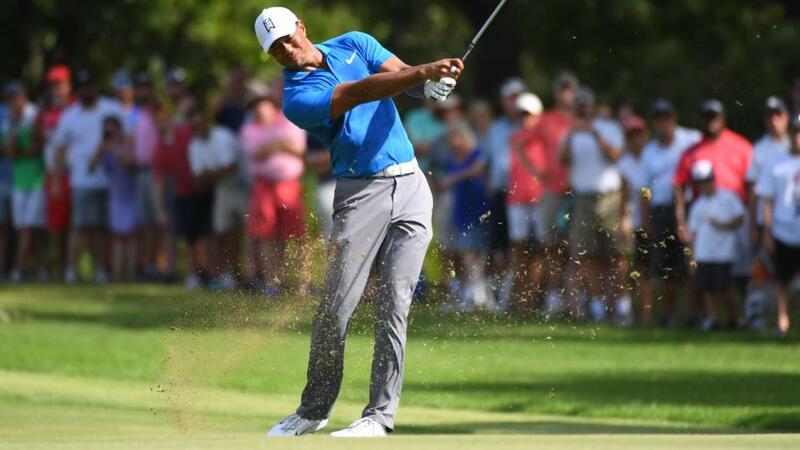 And for the first time since the tournament was moved to Albany, Tiger will tee-up as one of the favourites for the title, following his strong finish to the 2018 season. It is unlikely that Tiger's narrow defeat in last week's over-hyped, over-rated and irrelevant head-to-head with Phil Mickelson, will affect his performance in The Bahamas. The defending champion is Rickie Fowler who has stood on the podium on all three previous visits. Fowler's 12-round average at Albany is a healthy 67.67. World No 2 Justin Rose will be battling to regain top spot from Brooks Koepka as the year moves into December. The 38-year-old has twice been dislodged from top spot in recent months, and has another chance to reclaim the honours this week. Rose's consistency has been remarkable during the past 15 months, which has yielded five victories, five other podium finishes, and 24 top-10s from his last 31 starts. With the pressure off this week, it would be a good time for Hideki Matsuyama to find some decent form ahead of 2019. The Japanese golfer hasn't really recovered from failing to hold onto the lead over the final nine holes of the 2017 PGA Championship. But this event doesn't really matter with regards to reputation, so maybe that can help rejuvenate Matsuyama who won at Albany in 2016. And, finally, check out the SP of Tony Finau who could also prosper in this week's more relaxed atmosphere. New Providence lies around 25 miles east of the main island of Bahamas, and around 180 miles from the coast of Florida.